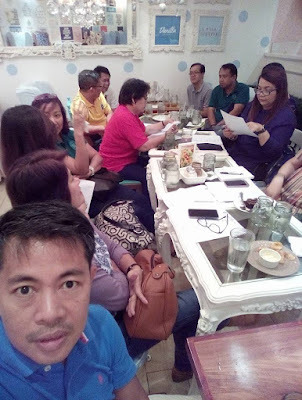 With a very challenging year ahead President Sia together with her Officers and Directors started their 1st Board Meeting last January 12, 2017 (Thursday) at Vanilla Cupcake Bakery and Restaurant to prepare the calendar of activities of CAMANAVAREB. These monthly activities were designed to create an atmosphere of fun, bonding and togetherness with emphasize on physical and mental health of members to combat stress and most specially to create financial benefit for income to members and the board. Committee assignments were given to all Directors for better management and delegations of duties and responsibilities with a Past President as their Committee adviser.